Home Les bulletins GEAB GEAB 107 American Election – Brexit – Euroland – TTIP – Turkey – Russian Sanctions: What future is there for the European Commission within the big redefinition of the Transatlantic Relationship? American Election – Brexit – Euroland – TTIP – Turkey – Russian Sanctions: What future is there for the European Commission within the big redefinition of the Transatlantic Relationship? 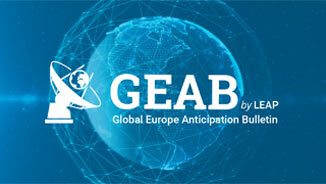 Since its creation, the Global Europe Anticipation Bulletin has been designed among other things to inform European public opinion and decision makers about the fact that the global geopolitical reconfiguration vitally requires a profound change of the EU. 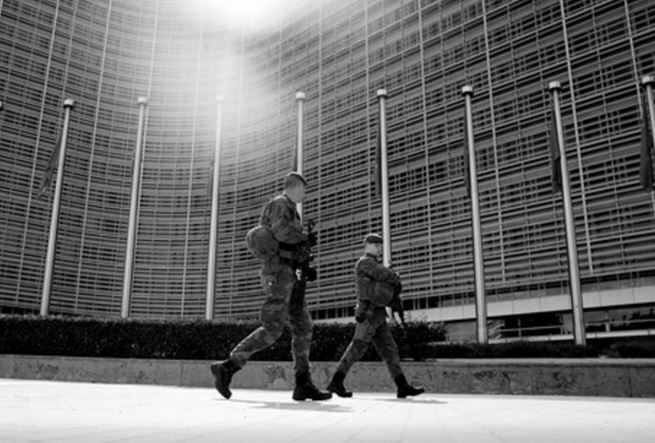 The United States, structural associate of the European project since its origin – but mostly since the fall of the Berlin Wall – has also changed its role and place in the world. And now, with the global systemic crisis, its transformation emphasises even more the EU’s urgent need to adapt; in terms of its nature, purpose and external relations. But most of all, its need to reform its most emblematic administrative body, the European Commission. A period of thirteen years will have passed since the Franco-German refusal to follow the US in its Iraq war in 2003 until the “possibility of Trump” for the US presidency at the end of 2016. In the meantime, the transatlantic relationship has witnessed all kinds of hazards: starting with great moments of apparent symbiosis (Sarkozy’s election as head of the most anti-Atlanticist EU countries in 2007; the communion against Russia in 2014) and ending with deep questioning (NSA’s spying scandal and anti-TTIP campaigns).
. the action taken against Barroso in response to his hiring by Goldman Sachs: Barroso was a president of the European Commission known as blindly and unconditionally pro-Atlanticist. He was hired by Goldman Sachs which was notoriously responsible for the misleading investigation of the Greek debt case in 2002, as part of the decision to integrate the country into the Eurozone. Some time ago, this kind of scandal could have been missed; but this time, not only has the media jumped on the topic, but also the Commission has reacted by withdrawing Barroso’s privileged entry access as a former president; a group of officials even signed a petition entitled “not in our name”.
. the implementation of reciprocal visas between North America and the EU: by applying the EU principles of solidarity, the European Commission has hardened its stance with the US and Canada, which still keep their visa policy for citizens of certain EU countries; the Commission has threatened to implement a reciprocal measure by asking for visas from US and Canadian citizens travelling to Europe. Last July, a six-month period was given for the US and Canada to remove visa requirements for all EU countries; or a measure of reciprocity would be applied. We will see how things settle by the end of this year. It appears that the EU, via the European Commission, has decided that it will no longer be pushed around by its North American allies.
. the simultaneous statements made by Gabriel (DE) and Hollande (FR) in an attempt to bury the TTIP: This summer, the German Minister of Economy, Sigmar Gabriel, and the French President, François Hollande, made several statements converging on the fact that the TTIP was stillborn and that negotiations had to stop. This led to certain acrimonious exchanges between Hollande and Juncker (current president of the EU Commission).
. the reactivation of European Defence project, following Turkey move away from NATO. Earlier this year, our team anticipated the end of NATO. The Alliance is now in a poor condition, especially since Erdogan has: restored order in his army (NATO’s largest army by number after the US); restored good relations with Russia; and turned his back to the EU, the final chapter of a long strategic history of transatlantic relations. 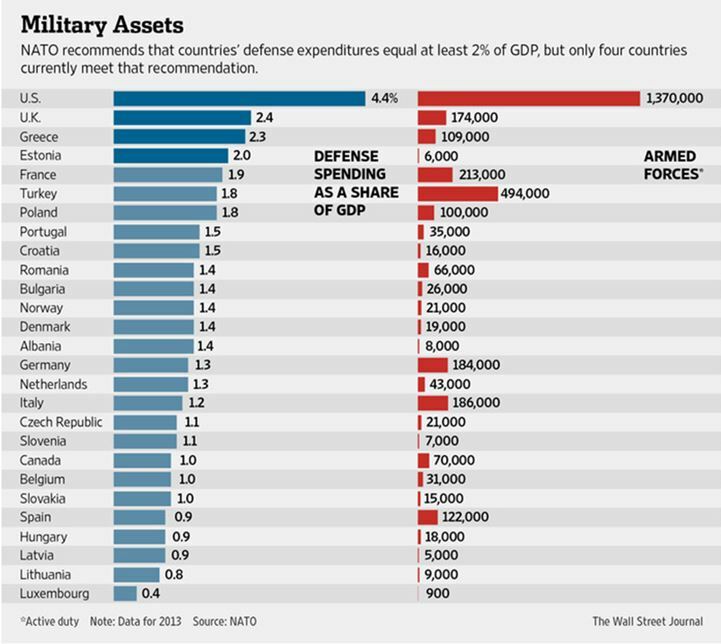 With NATO on the ropes, the EU can launch its project of European Defence.
. the questioning of the tax exemption for major US multinationals in Europe, recently symbolised by the case against Apple. 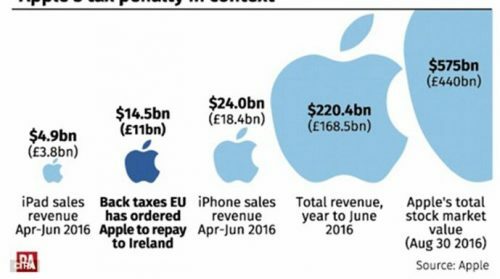 The 13 billion euros of back taxes demanded by the European Commission from Apple form part of an internal strategy to give back to the continent its revenue-raising capacity. But everyone must have figured out by now that the US government was also the target with Apple providing the means. 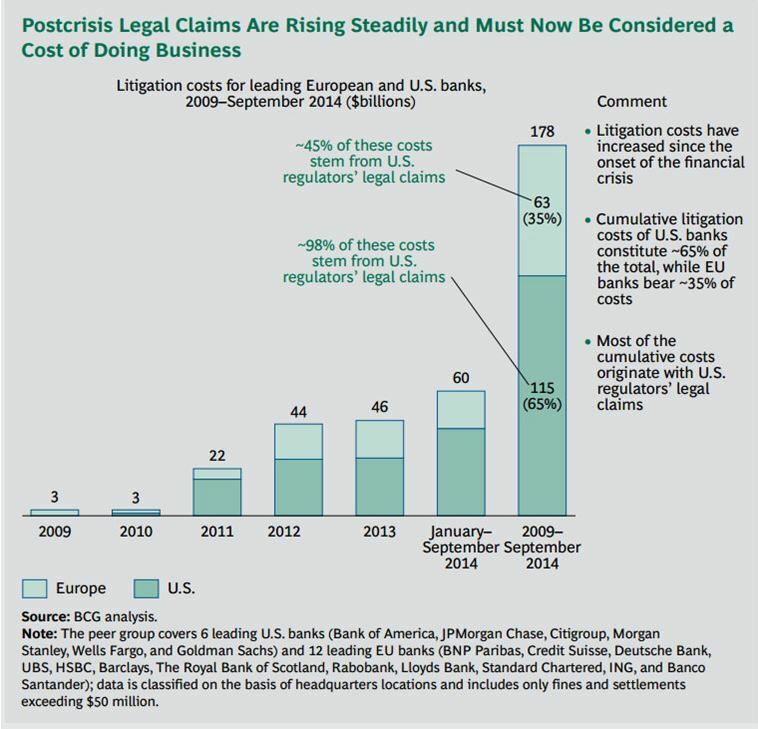 This is part of a reciprocal measure for the astronomical fines imposed by the US government to several European banks. More broadly, all this is part of a deep questioning of the benefits tacitly acquired by the United States through the “unconditional one-way road” of the transatlantic relationship. 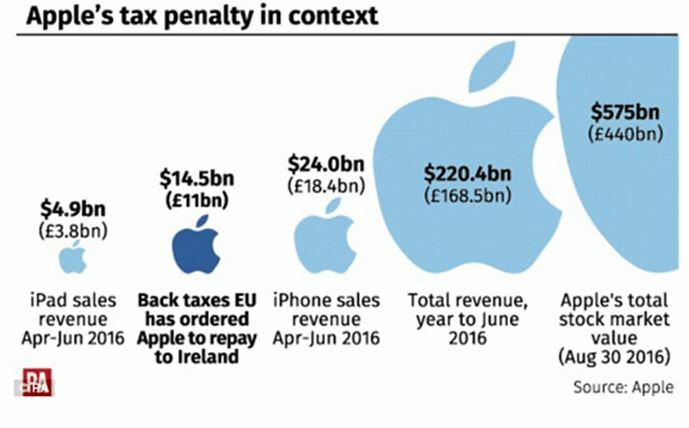 Figure 2: Up, Apple’s tax fine vs its revenues (source: Dailymail). 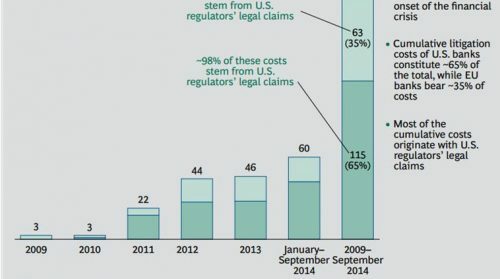 Down; legal claims cost and fines paid by the banks (80% of the total came from the US), 2009-2014 (source: BCG).
. what we call a “Trump possibility”. Prior to Trump’s possible election to the head of the US in November, the EU (and the rest of the world) needs to realise that the No 1 world power is now capable of electing such a leader. Added to this “Trump possibility”, there is the worry (which is somewhat less visible) shared by Europe, and even the US and the rest of the world of the “Hillary probability”. 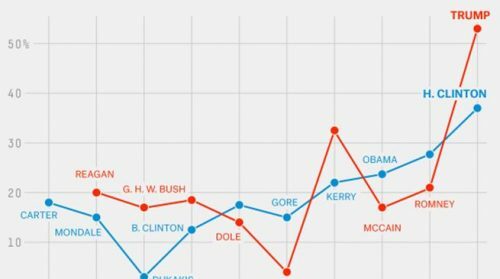 The outlook on the upcoming US presidential election cements the rupture of the ties which held together the two sides of the Atlantic. 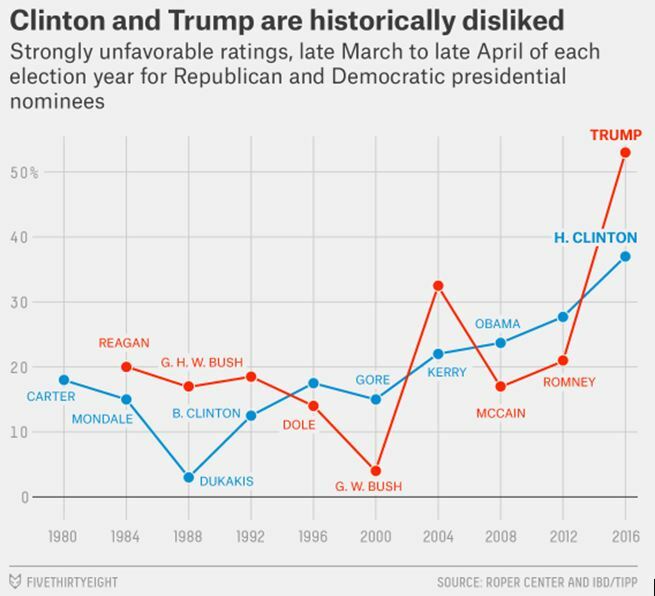 Figure 3: Unfavourable ratings March-April, Republicans vs Democrats, 1980-2016. Source: Roper centre.
. Brexit: The UK, which has provided the US with a way to influence decisions and reflect its political strategies in Europe for thirty years, has now removed itself from the EU. 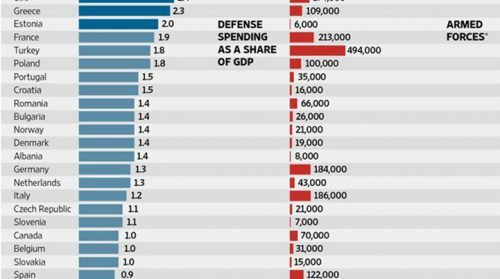 That said, our team estimates that by leaving the EU, the UK also releases itself from the role given to it by the United States (which became structural and recently challenged by its new alliance with China). It is not only the EU that frees itself from American influence by losing the UK, but also the UK releases itself from US tutelage, by exiting the EU… Read the entire article in the GEAB 107 / Sept. 2016. What Impact on the Old EU? We need to remind here that Erdogan took power in 2003, with an agenda clearly mentioning the minimised role of the army in his country. The Syrian crisis (2006) derailed this political project and, durinhg three years, power went back to the Turkish army. The military coup which we predicted in GEAB bulletin of October 2014 (source: GEAB N°88), allowed Erdogan to calm the Turkish army’s impulses. We recommend all our readers review earlier GEABs about Turkey and our anticipations – which looked erroneous, but have since been validated by the recent military coup.